Wow, wow, wow! We have had another beautiful week and by the weather forecasts, it looks like there is more to come. I couldn’t be happier for the garden right now. 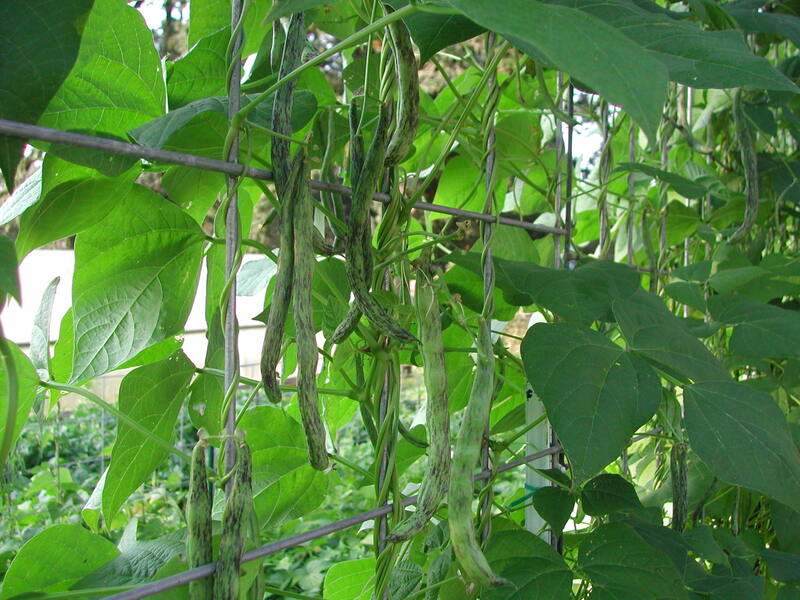 After last year’s dismal bean and tomato harvest, this year is looking very, very good. Since the beans and tomatoes have kicked in, there has been plenty for everyone, including my own to freeze and can. I am glad for the chance to stock up the freezer and pantry for winter. And finally, this week, I think I will be able to put cucumbers on the list! I have included a few in “The Bag” orders and Steven and I have been eating them for some time now, but my regular, field cucumbers have had a hard year. Not due to the weather; other people’s cucumbers have done great. I just had some weak starts and they never got over it. The tunneling of the moles and voles in the squash field didn’t help, and some of the cucumbers were among their victims. I did, however, plant more cucumbers in the hoop houses. 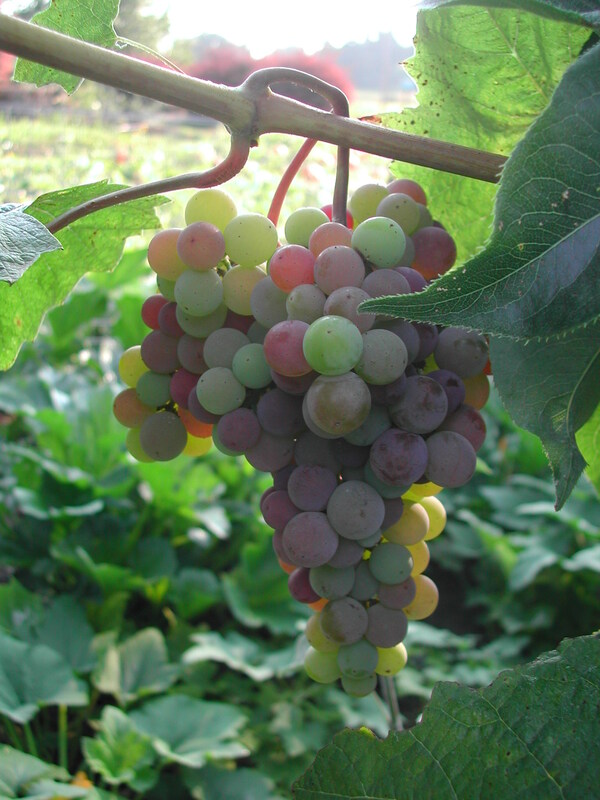 My original intent was for late fall production, but now it will be the main production. Those plants are looking absolutely gorgeous, healthy and strong and the cucumbers are coming earlier than I expected. 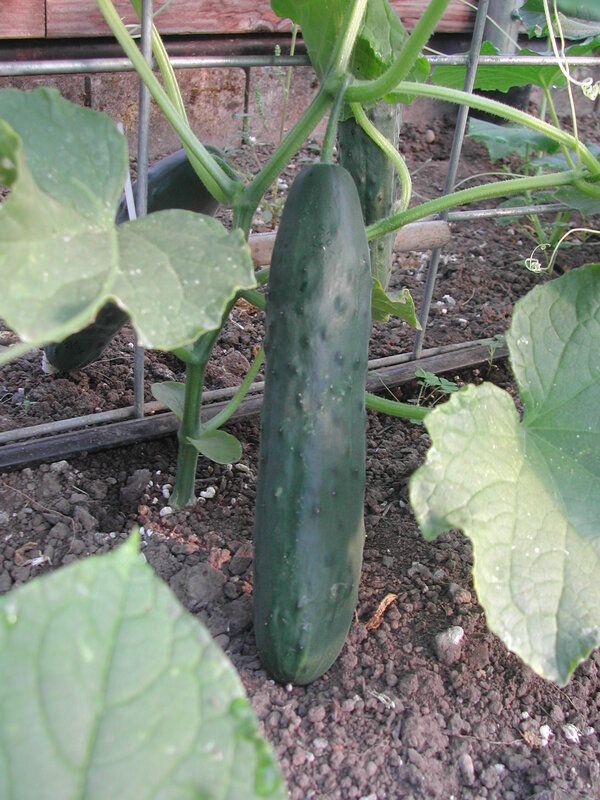 The variety I planted is Corinto, an American slicing cucumber. 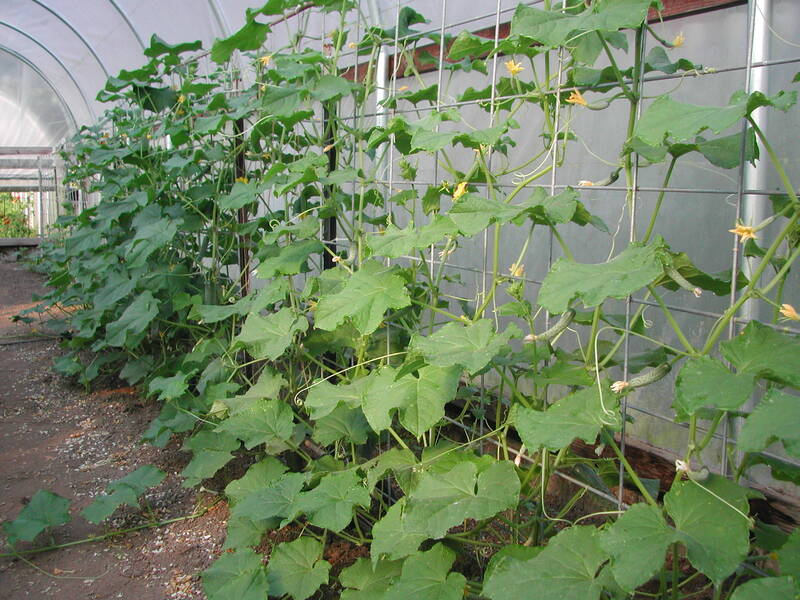 It is a long, dark green cucumber, that was bred for hoop house production: it does not need to be pollinated to set fruit and it does well in both cool and hot weather. I spaced the plants at different intervals in the three beds I planted (16, 20 and 24 inches apart), to see how that affects production and disease. The prospects look good for a long fall cucumber harvest. This season is certainly turning out a lot better than it looked early on with all the spring rain and cool temperatures. I had hoped that given our less than stellar beginning, we would have a good ending. It sure is looking that way. Michelle, it all looks so awesome! Tell Steven I said hi.